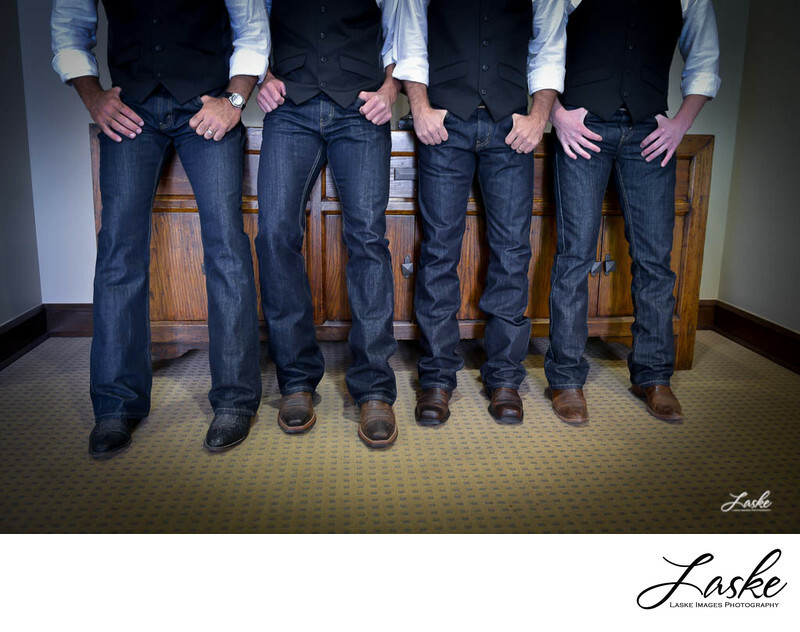 Groomsmen lean against the cabinets to pose with their hands in the pockets of their blue jeans, wearing their boots. Lower 2/3 shot. 1/20; f/4.5; ISO 1600; 29.0 mm.